Home » Portfolio » C.J. Hoffmann Contracting Inc. This website for C.J. 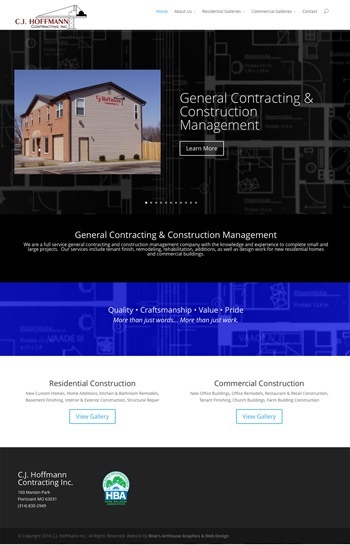 Hoffmann general contracting and construction management company is another classic custom WordPress website designed by Blue’s ArtHouse and features sortable photo galleries.